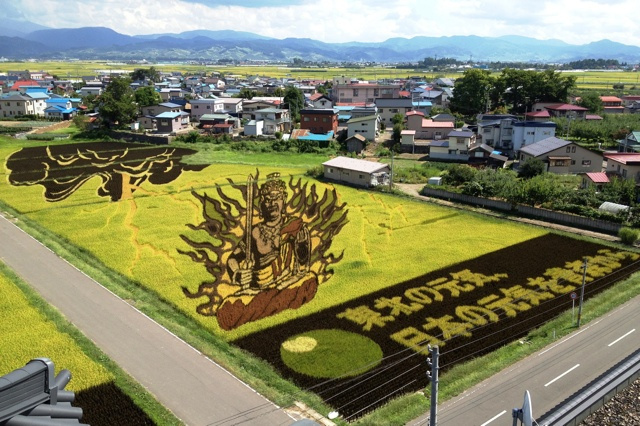 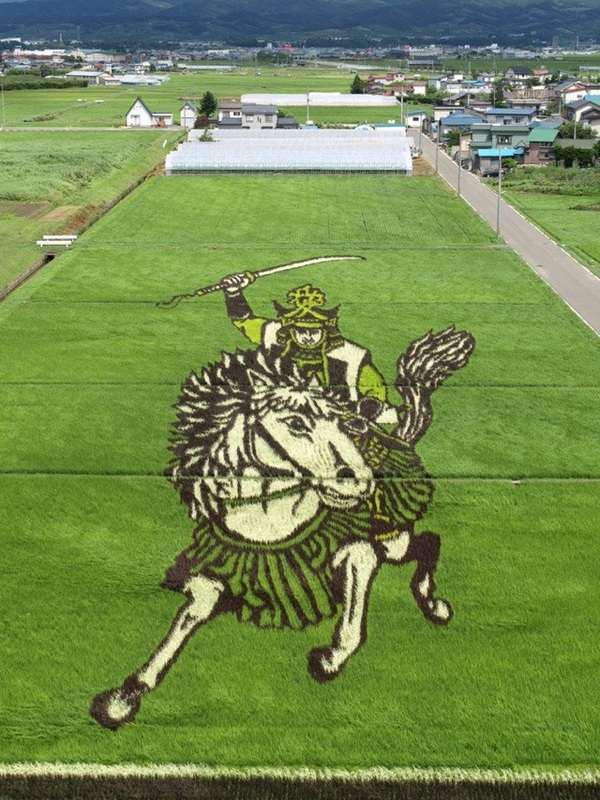 These massive works of art called “tanbo art” or “rice paddy art”. 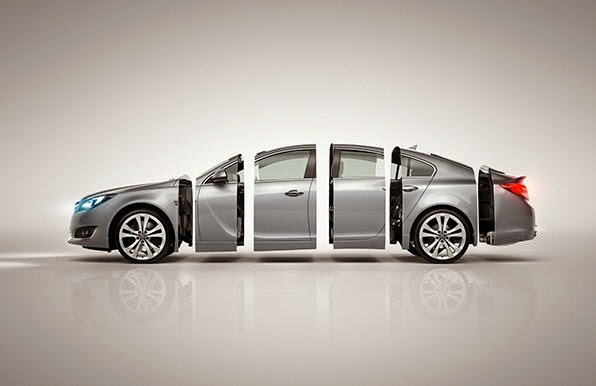 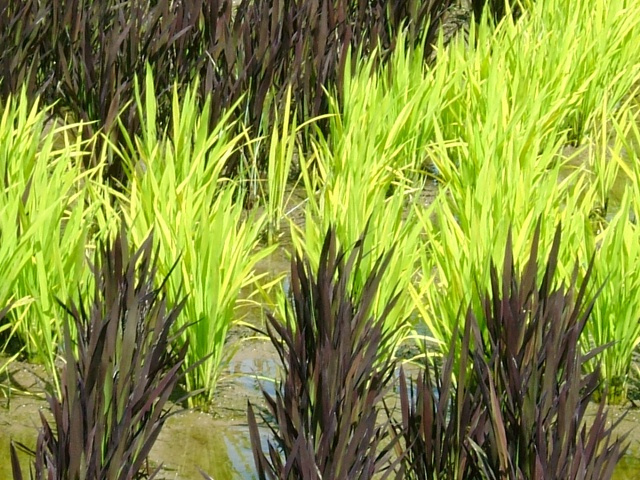 There are no dyes to create the different colors and hues. 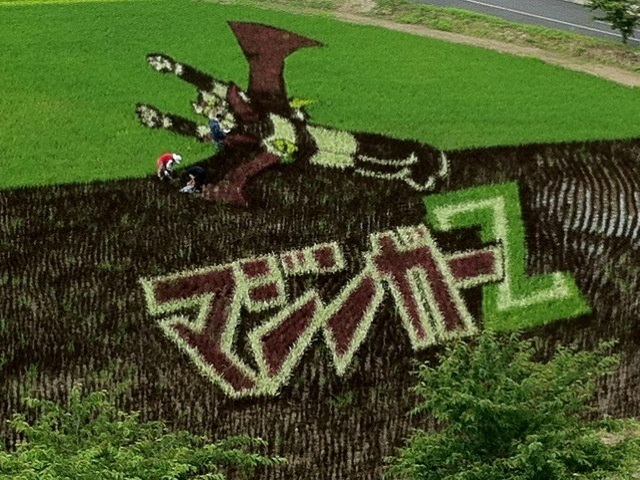 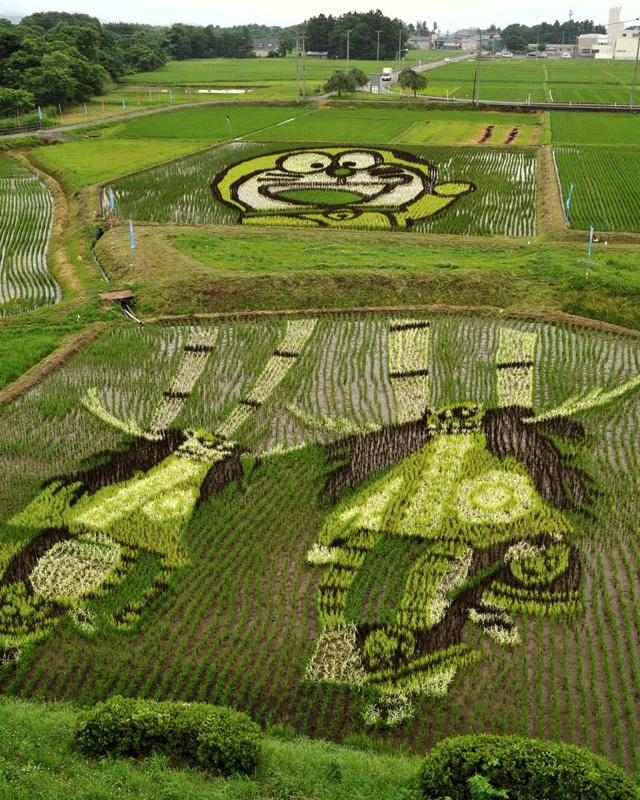 Instead, farmers used various rice strains in their tanbo canvases. 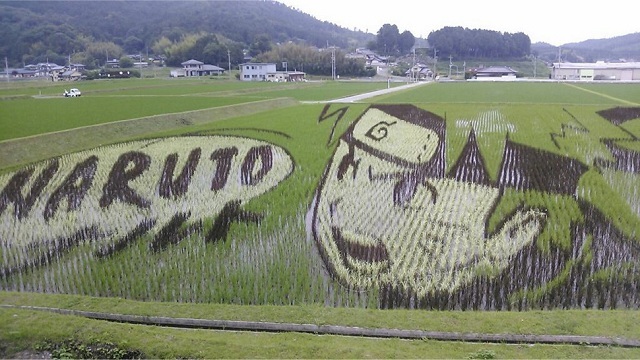 Often, hundreds of villagers work together to plant the rice by hand. 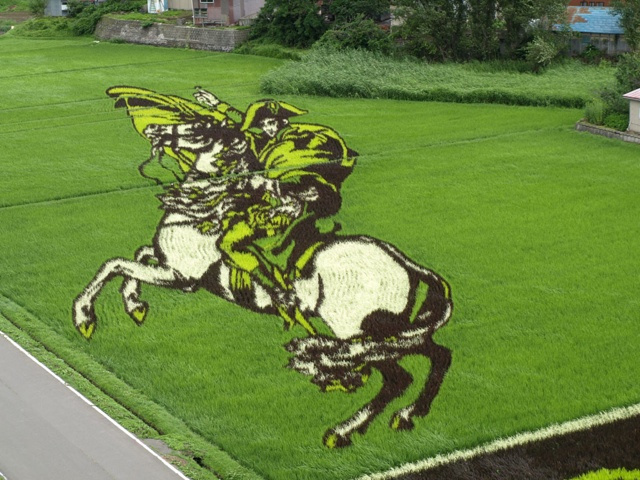 While planting, different areas of the rice paddy are roped off, so people know which type of rice to put where—kind of like painting by numbers. 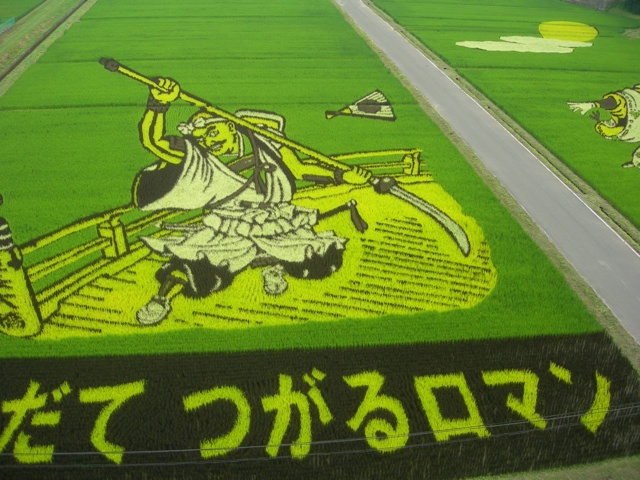 Rice is planted in the spring, and then harvested in the fall. 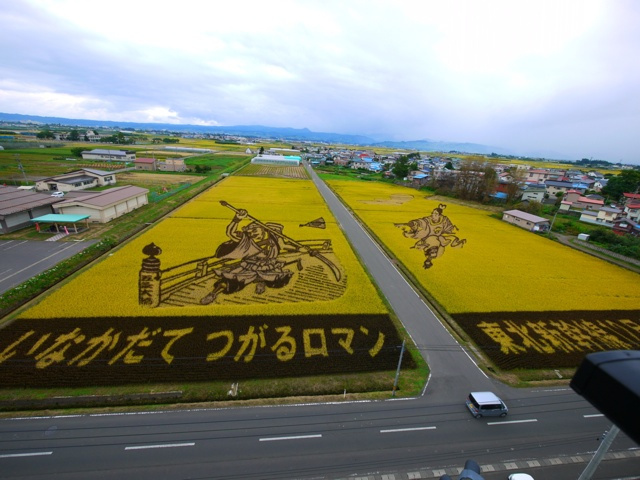 When it gets close to harvest, the color changes to a beautiful hue called “koganeiro”, which is often translated as “golden” or “honey-colored”.